As recently as last year, it wouldn’t have been easy, perhaps not even possible, to fetch $2.1MM for a vacant lot in the South Shore Club. That’s not because the broad market wouldn’t have appreciated an offering of a rare, lakefront lot in the Club. Nor is it because the market hadn’t yet appreciated to such a wonderful extend that the sale price would have been possible. That price wouldn’t have been possible one year ago because the supporting sales that prove that particular value hadn’t yet printed. There’s something interesting about what’s happened in the South Shore Club over these past several months. First, a lakefront listing, last August. I closed that listing for $4.175MM, making it the first sale in the SSC to exceed $4MM. Plenty of owners have investments in their homes that exceed $4MM, but never before had the market validated those outlays. Following that sale, another owner sensed the timing might be right for his family to make a move and he listed, also with me. We closed that sale this spring for $4.6MM (plus $100k for personal property). With those sales cemented, it was this vacant lots turn. I listed this lakefront lot last month for $2,195,000. I didn’t feature it on this website, in large part because the buyer presented quickly and was ready to roll. The lot closed last Friday for $2,100,000, making it the highest vacant land sale in the SSC, ever. But was it some unique marketing spin that I employed to sell this property? Other agents might have you semi-convinced that they have some proprietary blend of marketing wiz-bang, but they don’t. And neither do I. It’s not hard to place an ad in a newspaper and have no one call you from it. But it is hard to print two sales within 10 months that successfully prove a segment’s market value and then introduce a piece of inventory that falls nicely in line with that newly affirmed market. And that’s the real secret to this recent SSC success. It’s not in the marketing, though if I’m involved that’s pretty nice stuff, indeed. It’s in the timing of it all. It’s in understanding how a certain piece fits into the greater SSC puzzle. Yes, an owner can list his property whenever he or she feels like it. But is this approach smart? Or is it better to understand the process, to understand the inventory and the competition, and apply a rare dose of sensible timing to the process? This seems simple, but timing an offering within the greater context of an association market is anything but common. Thankfully, these past three properties sold because the sellers listened to me, and the result was perfect. To the seller of this most recent property, I thank you. 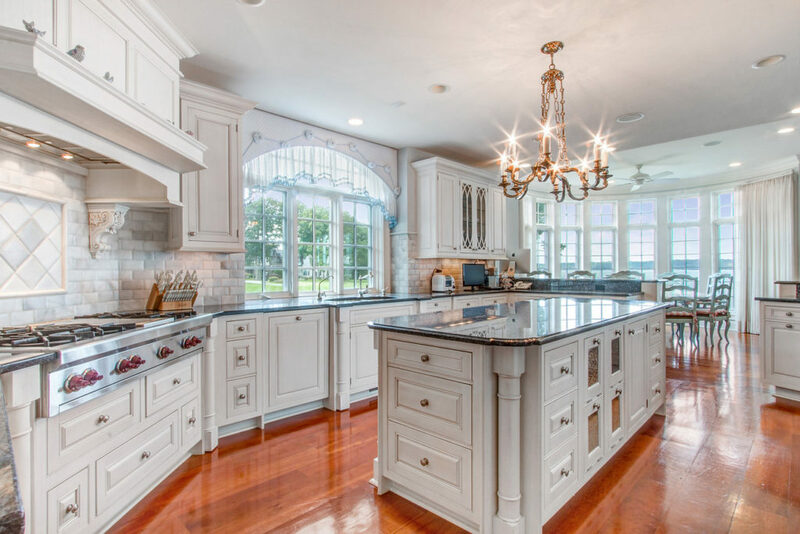 To future buyers and sellers of properties within the South Shore Club, work with me. Since 2012, when I was hired by the developers of the SSC to represent several of the homes and remaining lots there, I’ve closed on 8 of the 13 single family home sales (including the top two sales), and 11 of the 13 vacant lot sales. If your aim is the South Shore Club, you’re in luck. The market couldn’t be healthier, the future more secure, and your choice in agent more clear. It is no secret that the South Shore Club is an exclusive development. Anything numbering just 40 in total would be viewed as exclusive. While this is known, what isn’t so well known is that exclusivity does exist here on a higher level. The homes are each unique, each impressive. The slate, the stone, the imported this and hand hammered that, it’s all very intoxicating. There’s plenty of reason why the South Shore Club is entirely sold out, with no available inventory as of this writing. 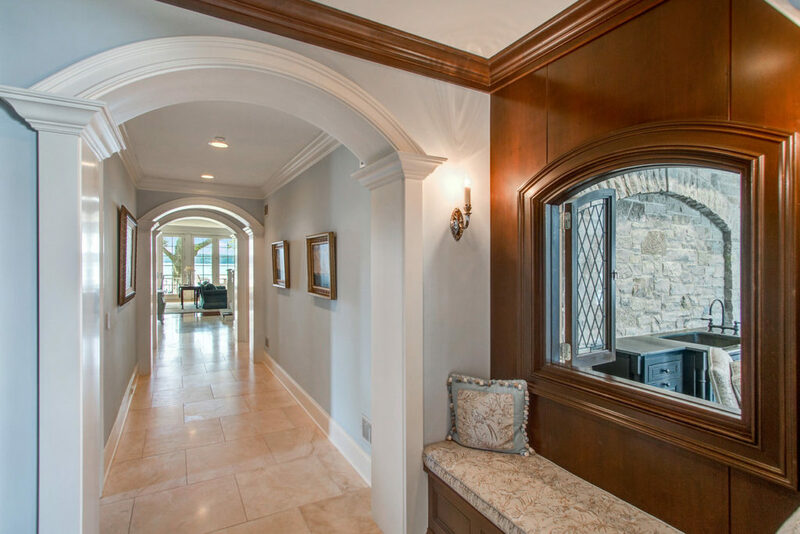 Whether the home is on Forest Hill near the tennis court, or right on the semi-circle that rings the lake like a modern day Congress Club, the structure is divine and the home a veritable castle for its fortunate owner. But this is the obvious. This is what everyone, no, anyone, can see with their own two open eyes if they so much as drive past, or perhaps through, the South Shore Club. But what is a higher prize are the select homes that line not just the circle of lush grass where a swimming pool and clubhouse reside, but those homes that rest immediately adjacent to the lake itself. These are the few lakefront homes of the South Shore Club, and these are the homes that compete with private frontage in such a way that they are not just a different option for those seeking private frontage, they can indeed become the better option. In this hunt for the exclusive within the exclusive, we find ourselves at the door of 1621 East Lakeside Lane. We’ve already established that each home in the SSC is a shining jewel in its own right, but what we miss when we paint with this wide brush is that individual homes do stand out among this spiffy crowd. Some homes are larger, as is this one. At just over 10,000 square feet, this home is large enough to meet any square footage desire, and yet boasts a design that is approachable with rooms that feel airy but not so large that they become unnecessary or somehow irrelevant. This home has more privacy, more outdoor space, more this and more that. The floor plan here is delightful, with everything a discerning buyer might require for a true lakefront home. There are finishes that exceed the highest of expectations. The Ralph Lauren interior design works perfectly at the lake. In spite of all this perfection, the location of this home might be its most important attribute. Nestled on the extreme eastern edge of the club, there is more space between this home and its lakefront neighbor to the East. This spacious side yard is a result of superior site planning, and it’s this side yard that makes this home feel less like just another home in the South Shore Club and more like one of the finest lakefront homes you’ll ever lay eyes on. 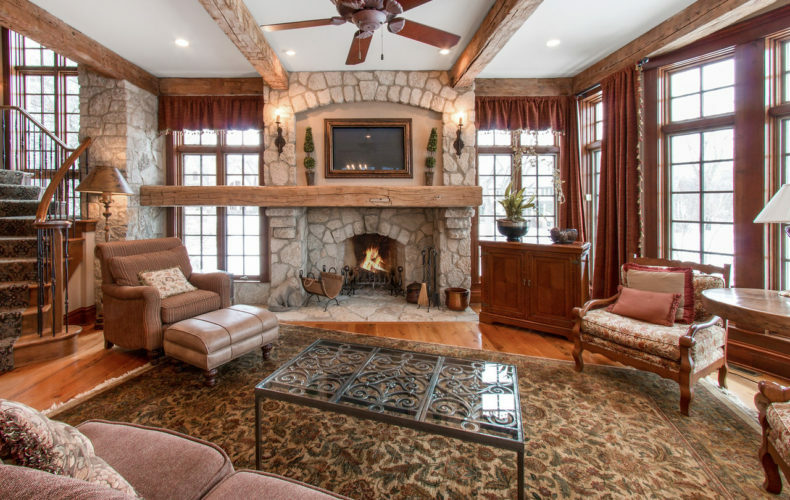 The views from the home rival or exceed that of any lakefront home on Geneva, with unavoidable lake views present in many of the rooms, and most pronounced from the epic lakeside stone patio. This is the appeal of this exquisite home. 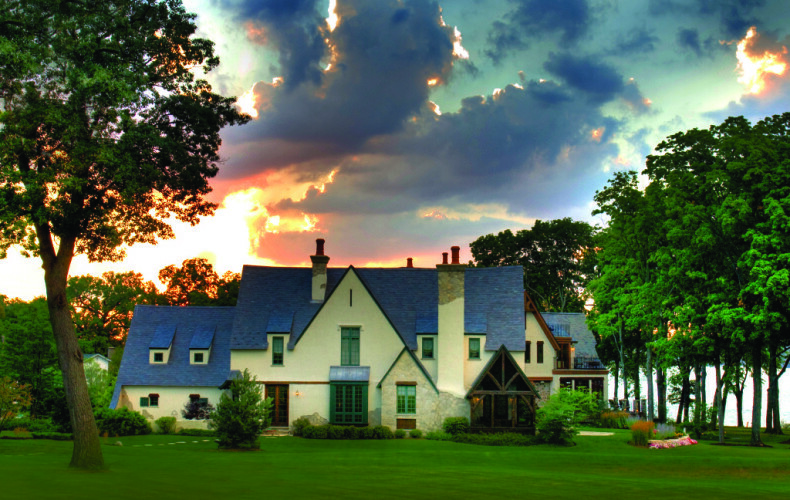 It is part of the South Shore Club, and along with that membership it enjoys the unrivaled trappings of such luxury- the free and varied boats, the tennis court, the pool and hot tub, the clubhouse. Think you need to buy a life vest for your daughter here? Think again, they’re included as it’s all part of the South Shore Club experience. These are the amenities, and when a home like this requires the use of those, they are available at any moment. 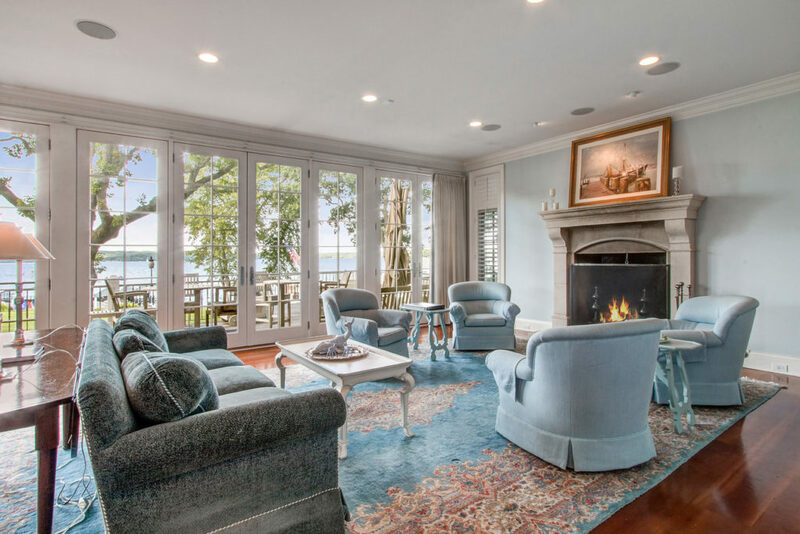 But what is different here is the ability to detach from the South Shore Club and live as a true lakefront home. If the activities are needed, they are there. But if they are not needed, and the new owner requires little more than a comfortable lounge chair to rest on and the sound of lapping waves as their soundtrack, this is also available. 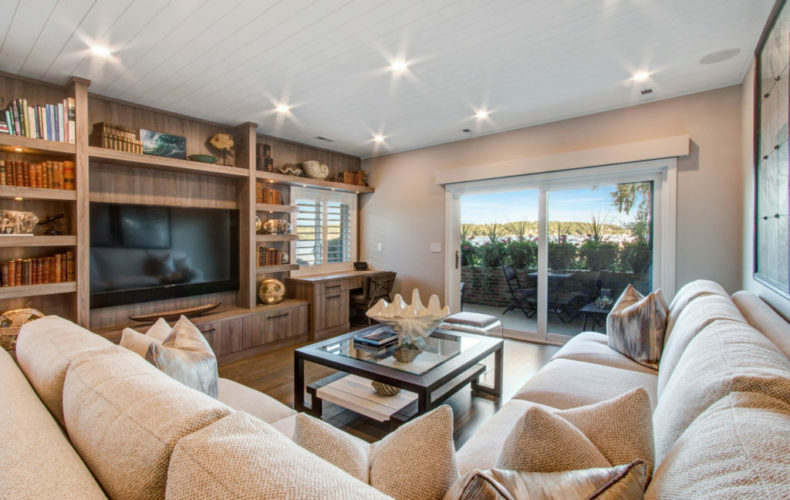 It’s in the ability to live as a true lakefront home with the wide array of South Shore Club activities available when they are wanted and out of sight, and perhaps mind, when they are not. In the South Shore Club, there are 40 total lots. Most are built on, a few are not. At present, there is one new construction underway. To date, there had been one sale, that of an aged inventory home near the back of the lakeside circle. While there are 40 total, there are only four built homes that play as true lakefront homes. Those are the front homes, the homes you walk into and see the water, unavoidably. Those are the homes that function as their own market, and the home I sold this week is part of that elite group. There is some confusion over the South Shore Club, and how to come to a valuation. Will the market pay lakefront prices for these lakefront homes? The answer is yes, and no. The yes part is obvious, because there’s a sales pattern now that didn’t exist prior to 2012. The no part is less obvious, and it might not be a negative in the way you’re suspecting. The market won’t pay true lakefront prices for these homes because the prices paid for them represent a discount to what those homes would trade for if they were on their own private lakefront parcels. So the market respects the South Shore Club, but buyers still expect a slight reduction over private frontage valuations. This is all good news. Consider one way to look at this closing at $4,175,000. The last front house sold in 2014 for $3,591,000. For 2014, the average price paid per lakefront foot was $21,144. 2017 YTD through October 10th, 2017, the average price paid is $27,743. That represents a 31% increase in valuation. If we apply the same appreciation increase to the South Shore Club lakefront four, we’d see a valuation $4,704,210. Is this the only way to compute value? Of course not. A lakefront in Fontana sold in the high fours this fall, and that home, with a very small lot, sold for $713 per square foot. The South Shore Club home was 8736 square feet, which comes to a $477 per square foot. A sincere thank you to the buyer and seller who let me help with this transaction. It was not the easiest deal I’ve ever worked on, and that comment may win Understatement Of The Year. That’ll put a wrap on my 2017 sales production, unless someone needs to close on a new house by the end of the year. Put a big red bow on it, like a Lexus. The year ends for me with $44MM in sales, which makes me the #1 individual Walworth County agent for 2017, and in that top slot for the third year in the past four. Combined with the 2016 volume that’s $106MM in the past 24 months. And that isn’t so bad. The address being written wrong on the property below that just sold, now that’s bad. The South Shore Club is all quite nice. The pool and the entrance, the tennis courts and the piers. There’s nothing like it here, and likely never will be anything like it again. Within the South Shore Club there are nice homes, some better than others. Some new, others older, some by the pool and some near the tennis. But beyond the typical homes in the SSC there are the elite. There are the select homes that do not merely angle over lawn and towards the water, but those that sit right up on the water. The front row. There are four of these built homes that match this description, the last having sold in 2014. But of those front homes, only two were built in a sunny lake home style. Two have white trim, light cabinets and brighter exposures that feel more like a typical lakefront home on Geneva. Today one of those rare lakefront homes is available, light and bright and ready for a new vacation home owner. N1619 East Lakeside Lane features eight bedrooms and four full floors of finished living space. 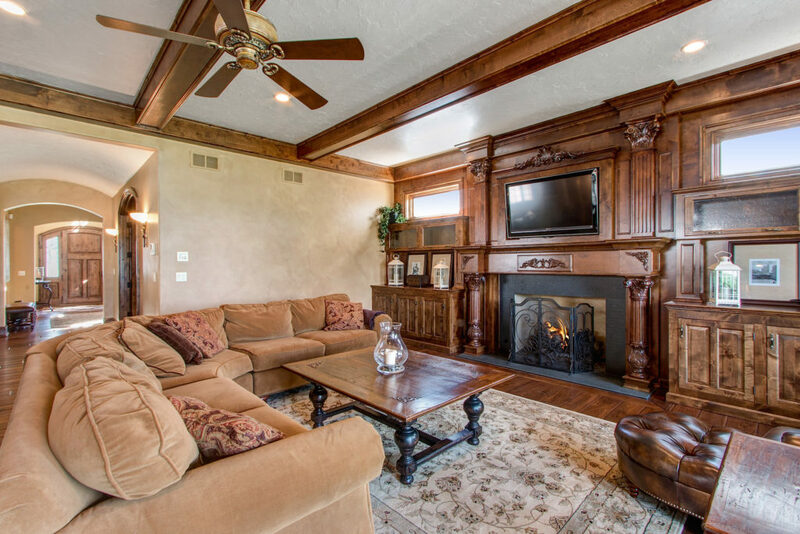 The lower level is a walkout to the lakefront, with a large family room anchored by a full masonry fireplace. 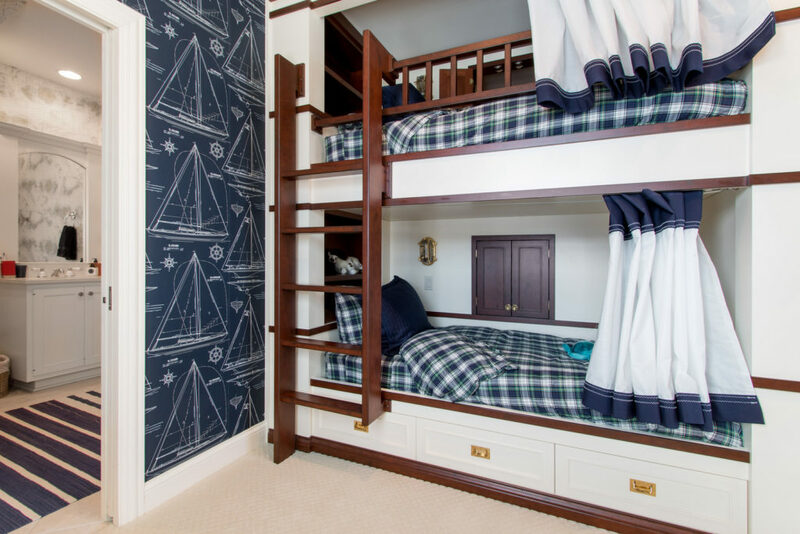 You’ll also find a bunk room with three adjacent baths. If you have a large social circle and feel the need to entertain, this house was built with you in mind. The current owner (who is the original owner) has a very large family, and when working with Orren Pickell and the architects to design this lakefront, he made certain that his entire family would have space of their own. That’s why the elevated bedroom and bath count. That’s why the fourth floor finishes into an office/den with an additional bedroom and bath. That’s why the lakefront deck is oversized and wide. That’s why the garage is deeper, with 8′ garage doors so your SUV can actually fit (a rarity given some of the tiny garage doors that plague certain SSC homes). That’s why there’s an elevator and a main floor bedroom suite. Beyond the sheer size, there are finishes here that are both expected and unique to this home. Waterworks faucets and marble floors. 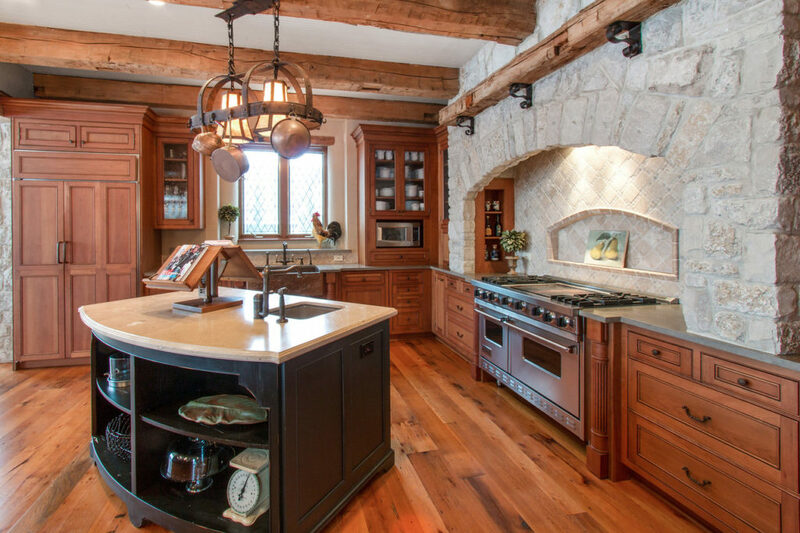 Wood-Mode cabinetry and Wolf ovens. 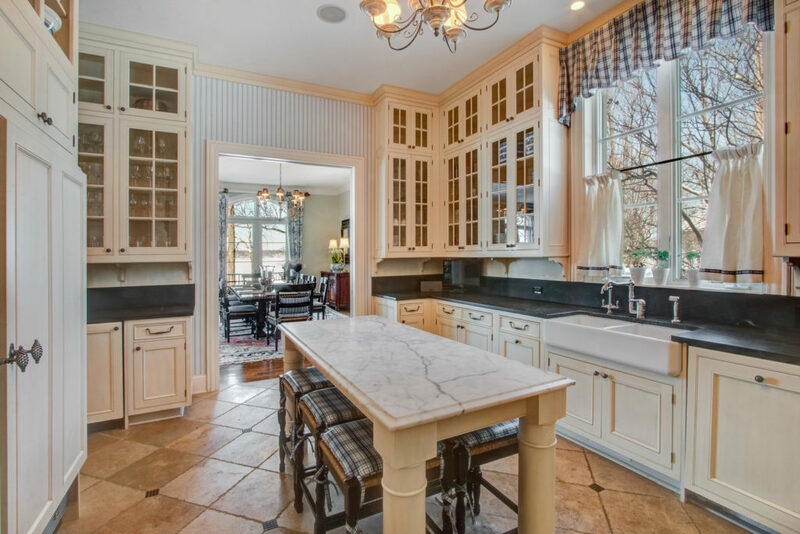 Sub-Zero refrigerators, both in the kitchen and the butler’s pantry. A solarium, constructed on the south side of the home in a classic English style, would make a terrific office or reading room. There’s nothing lacking here. No space concerns, no quality issues, and obviously no location issues. This is the front house. The best house. The lot that faces the water fully, with a slight western tilt to take advantage of the sunsets. 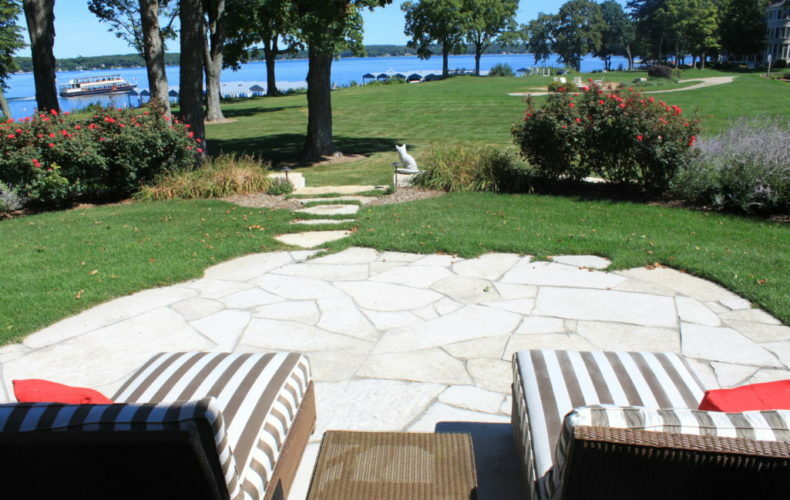 The location on the water is tremendous, opening to the widest section of the south shore, offering dramatic viewing of the nearby Lake Geneva Yacht Club regattas. Offered today for $4.595MM. It will be on the MLS later today and available for tour this Sunday. If you’d like a tour of this home and the remarkable South Shore Club property, I’m here to help. There was nothing like it in 2002 just as there is nothing like it in 2017. A lakefront community engineered to attract high end buyers, in a high end setting, on this, our high end lake. 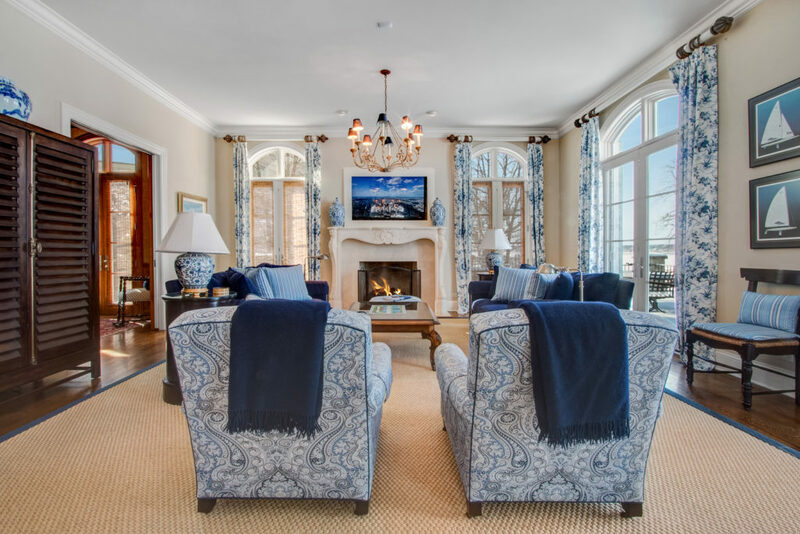 It was a fresh take on lakefront living, combining the traditional layout of the Congress Club, albeit on a much more impressive scale, with the sheer size and quality of a true lakefront estate. The South Shore Club might have been a bit before its time in 2002, but by 2013 its time had come. The market saw this development and recognized just how special it was. 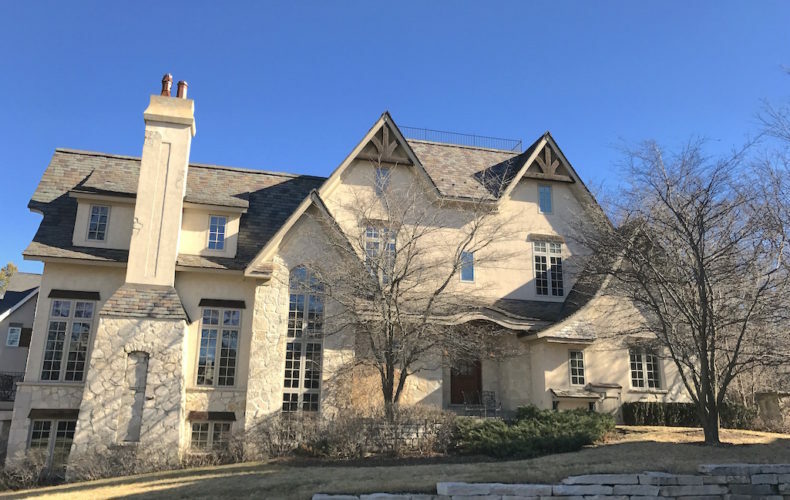 Buyers who might otherwise buy a $3MM piece of dirt on Geneva were instead inclined towards buying a $3MM house with all of these rich amenities and so much style. Today, a blast from this short-term past. The Original Vacation House, or so it was then called, was built by Orren Pickell to encompass all of the best that the South Shore Club could muster. The lot was special, set into the woods on that East side, but still prominent and capable of delivering a unique lake view. The style was lighter, brighter, more intricate, more involved, and as time wore on there was one house that kept looking new and ideal. It was this house, the Vacation House, the house that had all of the toys and all of the upgrades. The house was sold originally as a spec home, and enjoyed from that day until this day by the current owner. Alas, the property has run its course and the family has decided the time to move on has arrived. Today, I offer you the Original Vacation House, as wonderful now as it ever was then. But it’s better now than it was then. The market has enjoyed consistent sales over the last five years, and so the faith that the initial buyer displayed way back in 2002 is no longer required of a new buyer. It’s just a beautiful house and fits the market, and it fits the style and it’s ready to be sold. The home has been lovingly maintained, and as the construction on either side of it is complete, there will be no disruption to the new buyer’s summer caused by backhoes or nail guns. 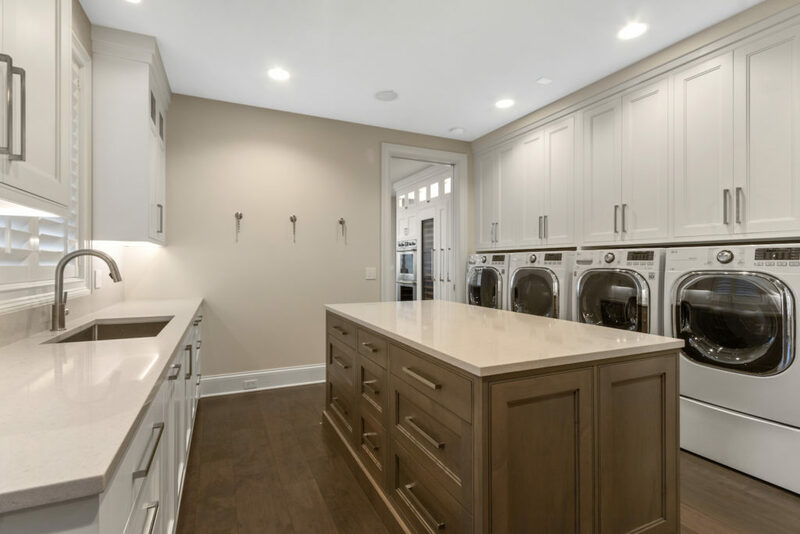 The finishes as what you’d expect, with Wood-Mode cabinetry, Sub-Zero and Wolf kitchen appliances, Rohl fixtures, Lutron whole-house control, and more. The South Shore Club is complete, it’s functioning as it was intended, and it offers a lakefront buyer a luxurious retreat at a fraction of what such a home would cost on private frontage. That’s really what the South Shore Club is about, by the way. It’s not about an association home with association home amenities. These homes were built and the association was designed to stack up against private frontage competition. If you have $3.275MM to spend on a lake house, you cannot buy anything of any reasonable scale or quality possessing a good amount of private frontage for that number. To put it another way, this new listing in the low $3s, if given a 1.5 acre lot and 100′ worth of frontage, would easily sell in the $5.5-6MM range today. 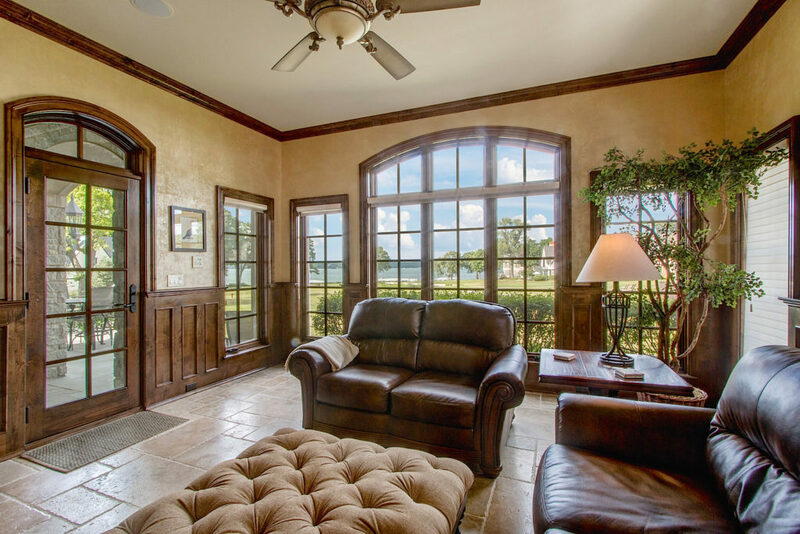 You’re not paying lakefront prices for a South Shore Club home, you’re paying a discount to that cost and you’re achieving a much easier vacation home experience. What’s easier? Well, all of it. Boats are included, no need to buy, maintain, and depreciate your own. The pool is there, included, a lifeguard as well. The tennis is there, ready, green with clay and ready for you. The lawns are maintained, the snow is plowed, and in the winter, if we have a winter with some normalcy, there’s an ice rink, too. The South Shore Club doesn’t just give you a lakefront experience, it gives you that experience at a discount, and it allows you, the owner, a much more convenient and leisurely weekend experience. For today, consider this new offering. It’s wonderful and it’s available and I’m ready to show it this weekend. If you or anyone you know might be interested, please do let me know. Sometimes I list homes that I know require a tremendous amount of creativity to sell. Other times, I list a home that I know will make my job considerably easier and just sell itself. 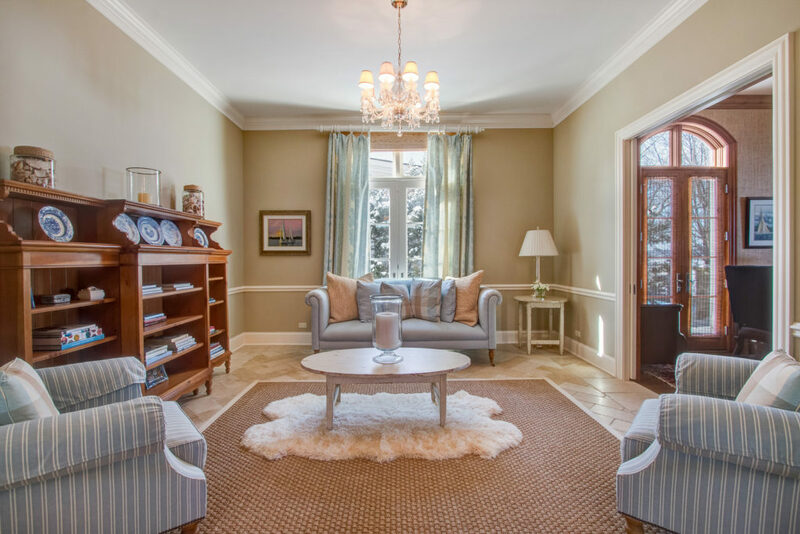 Last month I listed a home in the South Shore Club. This month, I sold that home in the South Shore Club. This doesn’t seem like a big deal, but it kind of is. Imagine the South Shore Club of before, of pre-2012. It was a nice place, with boats and green lawns and that pool and a tennis court. It was a beautiful place back then, just as it is today. But back then the market was struggling with the concept, struggling with the idea that something off the lake with so many vacant lots could ever find its place in this lakefront scene. In spite of finished roads and amenities, in spite of fanciful built homes and happy owners, there was a dilemma: Would this place ever hold its own? The answer, admittedly, was not then known. It couldn’t be known. There were too many vacant lots, too few sales, too much uncertainty. Would the developer go bankrupt? Of course not, but the question was still asked. In 2012, these question that was the South Shore Club started to find answers. The lots were selling, the houses, too. Inventory was shrinking, distressed owners were leaving. When I took over the marketing of the SSC it was an uncertain place, but by the end of 2015, when the last bit of old inventory was cleared and the last lot sold, it was obvious that the South Shore Club was on solid ground. Market acceptance is a wonderful thing. This summer, the first real test. New inventory, new pricing, new product. Would the SSC absorb this quickly, or would the development stall at its first opportunity to show that it has indeed turned the corner? 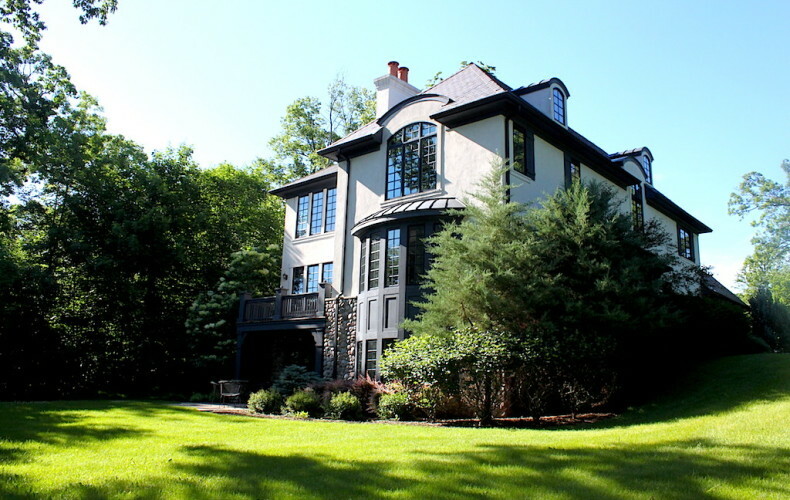 When I listed this home on Lakeside Lane in July, no one was more interested in the answer than I was. Yesterday, that home closed for $2.75MM, and that answered the question. The South Shore Club makes sense, the market understands it, and the woes of prior years are squarely in our rear view mirror. For the South Shore Club, no two sales have ever mattered more than the first sale of 2012 for $3.575MM and the first sale of 2016 for $2.75MM. The 2012 sale kickstarted a nervous market, and the 2016 sale proved that the SSC can compete with lakefront homes for the attention of new buyers. I was pleased to have represented this seller, and am grateful for the opportunity to continue the momentum that the South Shore Club has worked so hard to gain. I’m always happy for these sales, but some do mean more than others. This sale doesn’t mean more to me than the sales that have come before and the sales that will follow, but to the South Shore Club this sale means the world. If you’re interested in being part of the South Shore Club scene, my vacant lot offering on Forest Hill listed at $598k is your best bet. August. It’s August now and it’s too late for you. If you’re at home and your vacation home dreams are there with you, then you’ve already blown it. This August will not be special for you. It might be special for you if you enter into a contract to buy a vacation home during this month, but otherwise it’ll be uneventful and horrible. You went to Lollapalooza over the weekend? Terrific, that also sounds boring. The good news is that while this August is a complete and utter waste, next August can be spectacular. And next July, too. June, sure. May, and its Memorial Day, delightful. And so it goes, a summer still underway but an August already wasted. That’s your upbeat Monday morning message. Enjoy your week! The market is remarkably active today. The lakefront in particular. A few weeks ago I sold my large lakefront listing on the North Shore near Pebble Point. A buyer paid $3.93MM for 181′ of dead level frontage and four acres of fabulous depth. This lot is likely the best vacant lot to sell on this lake in quite some time. I prefer it over the lot that sold near Alta Vista a few years back for $6MM. That lot is sold, and with it I’m back to where I belong in the MLS rankings for Walworth County- Number One. Another large lakefront on Basswood is under contract with an asking price just under $4MM. That home had been for sale for quite a while, and finally found a spurt of activity this summer before finalizing a contract last month. Two hundred feet of frontage with an old house will always find a buyer, assuming the price slowly succumbs to the market’s expectations. The South Shore Club has had a nice injection of activity, as I listed and then almost immediately went under contract on a large home just to the lakeside and west of the pool. At $2.99MM this was the first home in this sort of location to come to market since I sold a foreclosure two years ago on the east side of the pool. The home sold quickly because it’s a large home, with elevated finishes, and a most beautiful lake view. The other listing in the South Shore Club is farther towards the back, with less of a view, but I expect that home to benefit from my soon-to-print-comp, and that home will sell this year as well. If you’re looking at the SSC and don’t want to swing the $2.7MM+ price to be on the circle, I have my lot on Forest Hill Court available for just $598k, including home plans. Just last week a home on the Abbey Harbor came to market, and then this last weekend that home went under contract. Do buyers love harbor front? Of course not, but buyers do love new and fancy and if you’re a buyer who loves large boats and new and fancy well then you’ve met your ideal situation. 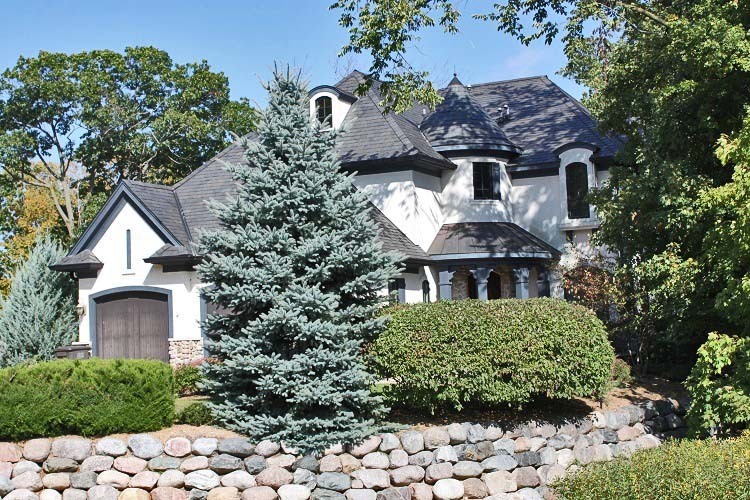 At $2.8MM the seller was rewarded in large part because of the lack of quality lakefront inventory in that price range. The SSC home is a similar beneficiary. If the lakefront had more inventory in the $2-5MM segment, buyers would absorb much of it with little delay. If you’re a seller sitting on a home in that segment and you’ve thought of selling, now is the time to call me. Actually, email me, since my return phone call habits are terrible at best. Entry level lakefronts continue to be shown regularly, but are failing to attract contracts. I just reduced my lakefront on Lakeview to $1.419MM, and that’s likely the best entry level property on the market. With just 27 lakefront homes available, and two more vacation lots (my Loramoor lakefront being the best option there), buyers have few options to choose from. The good news for buyers is that aged inventory is already starting the reduction process. Sellers know that while this market is a 365 day market now, buyer traffic will slow by November, meaning there’s just 90 days of solid market time left for 2016. Smart sellers are evaluating their position in the market and reducing. It’s not a desperate move by any means, it’s just smart business. Watch for the savvy sellers who have experienced significant market time to reduce soon. Of course the smart buyers are the ones working with me to both strangle deals out of this aged inventory and pounce on the new inventory. 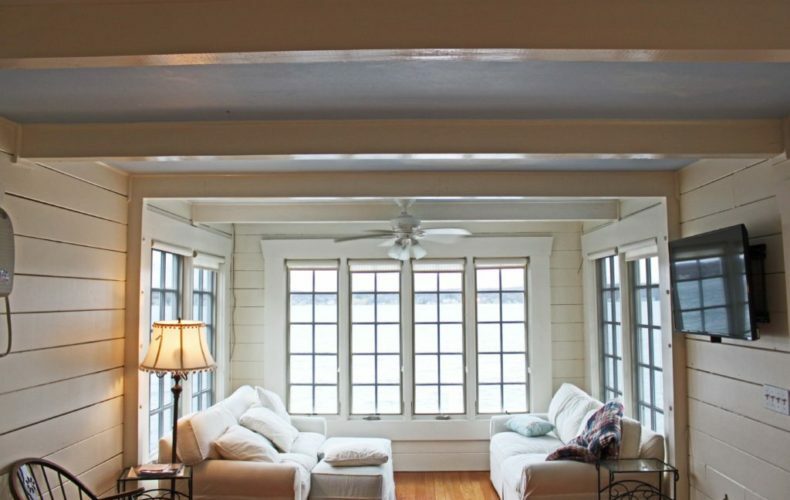 Above, the boathouse at my W4160 Lakeview listing. Yours for $1.419MM. The South Shore Club at Lake Geneva is old now. It’s been here for a long time, or for a lifetime, assuming the life is young and the long time isn’t viewed in any historical context. It’s not new, but it’s not old like the Chicago Club, or the Harvard Club, or the Lake Geneva Club. But there’s nothing misunderstood about it now, nothing curious, nothing that needs so much explaining. The market was created, the market stumbled, the market found its footing and now the market is doing what’s best for the Club. It’s resting. Last year, the last two pieces of aged inventory sold. That was my listing on Forest Hill Court, and the vacant lot immediately to the West of it. Those two properties, one build and one vacant, had been for sale for years. Literally, years and years. Then last fall they sold. Both at discounts, both at prices that represented significant losses for the sellers. But they both finally sold and with those sales, the South Shore Club removed the last piece of stubborn resistance. Over the winter, nothing has happened in the South Shore Club, and that’s exactly what needed to happen. Then, a couple of weeks ago, an old bit of inventory made new again. 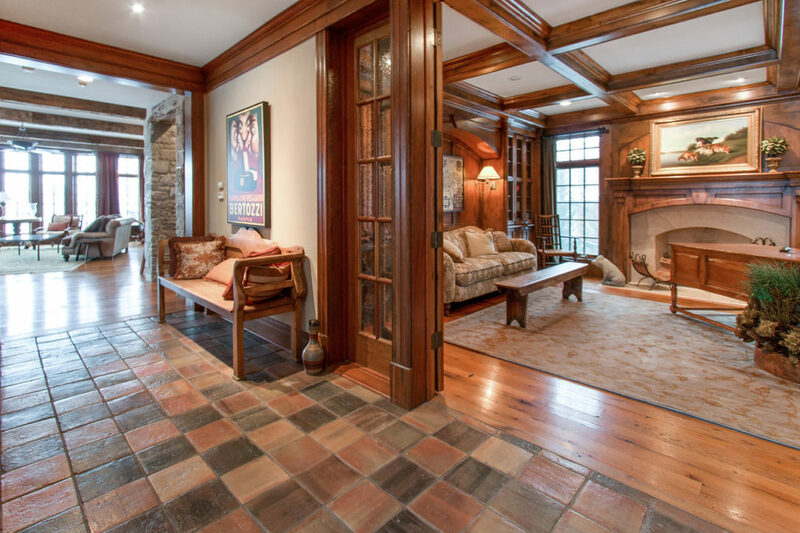 A home that was built on spec near the tennis court on Forest Hill came back to market. That home had sold for $1.6s but was then improved, so the $1.9MM ask wasn’t out of line with market expectations. That home sold quickly and somewhat easily. Today, if you were only watching casually over the winter, you’d be forgiven if you didn’t know about that sale (it hasn’t closed yet). The market is quiet now, but it’s only quiet if you’re not on the inside. On the inside, there is at least one home privately offered for sale, though it isn’t listed. Inside, there aren’t any lots on the open market but there are two that might be sold if the price is right. Outside, it looks as though the SSC has finally found its balance, and so long as the market there continues to release bits of inventory slowly, one at a time, the market will continue to improve. That’s what it looks like on the inside, too. If we rewind to the spring of 2012, the South Shore Club at Lake Geneva was a total market disaster. It hadn’t printed a sale in forever, and vacant lots hung heavy on the MLS at lofty prices. When I took over the marketing of the club that year, the sale for $3.575MM on Lakeside changed everything. That sale showed the buying public that there was liquidity in the SSC, and that if you watched a property for too long it was likely to sell to someone more motivated than you. That sale begat another, and before 2012 had turned to 2013 we had a handful of sales, both lots and homes, and the market was on its way to correcting itself. But the full correction hasn’t been apparent until now. That’s why that little off-market sale for $1.9MM matters so much. It means a buyer who just joined the club found immediate and easy liquidity to leave the club. It means the market is functioning as it should, and it means that sellers of SSC homes are no longer signing up for a lifetime of open houses and fruitless showings. It means the market is strong and the recover is complete. If you’re a seller, you have an opportunity now. If you’re a buyer, work with me and I’ll get you into the South Shore Club even though there appears to be nothing available. As I grow more distanced from my youth, I remember things as though they happened on a movie screen. I remember being dropped off at the limestone steps of Northwestern Military Academy, the scene looking like a Wes Anderson score painted gray and brown. I remember walking up to the oversized door, but not before I took a deep breath to ready myself, to steady myself. It was just me and a friend or two from school, and since our small private school offered no course in Driver’s Ed, we had to take it somewhere. That somewhere was Northwestern. I remember the rotunda, smaller inside than it appeared it should be when viewed from the outside. The second floor balcony circled the space. The three of us from the other school walked down the hallway, and I distinctly remember catcalls and whistles, directed, presumably, at the girls from my school. We found the room, escaping the watchful stare of the second floor balcony gawkers. We exhaled. We did this for however many weeks it takes to complete Driver’s Ed. It was a strange experience, and in my recall I can watch that scene unfold and it hardly seems as though I was the leading character. But that was then and this is now, and the story that played out on those grounds between 2002 and 2015 has been well documented, especially here on this site. The short story, for those who have shamefully been absent from the discussion, is one of a new development. It’s one of a fast start, a soft middle, and a restructured price range that finally hastened the completion. The club is now complete, it’s done. There’s nothing more to see there, nothing left to do. Maintenance projects now take the place of construction projects, and nary one or two new builds are expected to take place there in 2016. The years of action in the club were 2012, 2013, and 2014. Not coincidentally, those were the years where I was at the helm of that previously wayward ship. Prices were adjusted, a new pitch was adapted, and those three years were significant. Aged inventory was cleared form the market, distressed inventory was sold off and replaced with strong ownership, vacant parcels were sold so they could no longer drag on the values of the built homes. The hard work was done, and when 2015 started there was very little left to do. Very little, but still something. There was a home on Forest Hill that hadn’t yet sold, even though it languished on the open market for years. It was my listing. The price structure was never right, first in the threes, then every part of the twos, then the upper ones, before settling and closing in September at $1.45MM. Next door, the only other pieced of aged inventory, this of a vacant parcel that sold originally in the $800k range, back in the early 2000s when that seemed like a good idea. I brought a buyer to that last lot, and it sold for $420k. 2015 was a year of market inaction at the South Shore Club, but the only goal it wrote down at the beginning of the year was complete by October: Sell anything that remained. The sales closed, the building rush of 2014 now just about over, the market looks to 2016. What will it hold? Will the South Shore Club rest now, finding the pause that it’s so badly needed for the last 14 years? That would be the best possible scenario for the Club. Rest. Enter 2016 without available inventory, and spend all of 2016 without inventory. Appreciation is driven by demand, and demand is fanned by absence of supply. If the SSC can withstand the urge to introduce properties to the market, it will cement itself as a desirable, and rare, commodity. If, however, it enters 2016 and some owners who got in right look to capitalize on their prior, timely investment, then the SSC will see new inventory. This is not what I’d like to see happen, but this is what I expect will happen. The temptation of a strong market will be too great for some owners to ignore, and built inventory will return to the market in 2016. Will the prices be so much higher than they were? Will this brief absence of inventory mean prices have risen dramatically? No, of course not. It means the price structure that I suggested in 2012 is still largely in place, though adjusted upwards because the uncertainty of where that market goes has been removed. Expect homes on the lakefront to be sold in the high threes or perhaps low fours. Expect inventory from the lake back to the pool to achieve $2.5-3.5MM, the high end of that range only possible for exceptional homes. Beyond the pool, $2.2MM to $3.5MM is expected, the wide range reflecting a wide variety in the quality of the built homes there. Lastly, expect the Forest Hill properties to be anchored in the $1.6MM to $2MM range, which is where they always belonged. 2016 should be a terrific year for values in the South Shore Club, but the association would be better off ignoring the temptation of inventory. It’s time for the South Shore Club to rest. I watch the million dollar shows on television. I used to think I liked those shows, because they portrayed Realtors as being cool and hip, and Realtors have, since the advent of the Realtor, been sufficiently anything but cool or hip. I liked the new Realtor, and I liked that the industry found a way to reshape their image. I don’t really feel that way anymore. I like the fancy cars and pointy shoes as much as the next guy, and I appreciate snarky comments and faux conflicts, but there’s some damage being done to the industry if you look beyond the pocket squares and excessively gelled hair. While we’ve become accustomed to watching these television agents dance through negotiations and coyly bluff each other over drinks at a fancy bar (the deals always come together), the bragging about setting new records and beating the market has convinced much of middle America that this new game isn’t about facilitating market transactions efficiently and competently, but rather it’s about the gimmickry that can, or in the case of the show, always, leads to beating the market. My market beating experience this year just played out last week at the South Shore Club. I saw there the last two sellers, those owners of lot 8 (unbuilt), and lot 7 (built). When I took over the South Shore Club marketing in 2012, these two parcels were for sale. When 2014 faded to 2015, both of these parcels were still for sale. Both properties held the lofty expectations of their owners, and if both parcels had been in Beverly Hills I likely would have sold them both to foreign investors and then tap-danced my way to a champagne lunch. But this is Lake Geneva, which is, if you’ve been dawdling, a small resort town in Wisconsin that caters almost exclusively to the Chicago affluent. It is a beautiful area, but it is to Beverly Hills what I am to an olympic decathlete. These two properties weren’t catastrophically flawed. They were South Shore Club properties, owning all of the luxurious amenities that every other club property owns. They were on a dead end cul-de-sac, on a street that hosts a total of 8 parcels. In the time since these two properties were listed, nearly every other property on the street sold, and every buyer that bought on the street looked at these two parcels and said no thanks. It wasn’t that these owners weren’t trying to sell. The vacant lot #8 switched representation a handful of times in an attempt to rouse a buyer through a different narrative, a different set of pictures, a different approach. That failed. The lot 7 owner, whom I was pleased to represent, chopped the price consistently. He re-painted. He removed the furniture. He had a pre-inspection performed (some agents love those now). He took the property off the market and then put it back on. He chopped the price some more. New pictures were taken. A new narrative written. After several years of efforting the properties had several serious looks, several seriously interested, and dozens upon dozens of showings, yet both sat unsold. When both parcels sold last week, they sold for the reason that Lake Geneva properties ultimately sell. They sold because the prices were cut to a level that the market accepted. They didn’t sell because of pointy shoes or gelled hair. They didn’t sell because the Realtors drove shiny cars. They sold because the market had rendered judgement on them, and in order to find a buyer they both had to sell cheap. I sold lot 8 last week to a buyer of mine for $420k. I sold lot 7 for $1.45MM. These prices were discounted, tremendously, even as the remainder of the market appreciated. Importantly, these two parcels represented the last two available pieces of aged inventory in the South Shore Club. From here on out, any sale in the SSC will be something new to market, and that’s exciting for everyone that has played a role in this development over the past 14 years. Did these parcels fail to sell years ago because the Realtors were somehow bad? Is it because the Realtors couldn’t manipulate the market to suit the individual needs of their clients? Well, no. Of course not. The properties didn’t sell because beating the market isn’t just something that supposes one side is extremely naive and gullible, it’s also very difficult to do, unless of course we were in Beverly Hills right now.